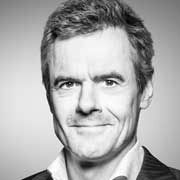 Dr. Rainer Esser has served as CEO of Germany’s leading opinion-forming weekly newspaper DIE ZEIT since 1999 and also holds a position as Managing Director of DvH Medien GmbH (DIE ZEIT, Handelsblatt, Tagesspiegel). His expansive career has included prominent positions building on his legal studies and reflecting his passion for publishing. He joined the Berlin School of Creative Leadership’s board in 2016. Dr. Rainer Esser studied law in Munich, Geneva and London. He continued his studies in the United States with a Master of Law at the University of Georgia before receiving his final degree in 1986. After graduating from the German School of Journalism (Deutsche Journalistenschule) in Munich, he worked as a lawyer for various law firms. Since 1989 he also holds a PhD in International Law of the University of Regensburg. Not withstanding his distinguished legal education and promising career as a lawyer he decided to pursue a career in the publishing industry and served as Editor in Chief at Bertelsmann International in Munich and eventually joined Munich-based Spotlight Publishing House (Spotlight, Ecoute, ECOS and ADESSO) as Managing Director. After serving as Managing Director of Main-Post Publishing House in Würzburg in the late nineties he started his current position as CEO of DIE ZEIT. In May 2011, he also took on the role as Managing Director of DvH Medien GmbH.